Jeanie Copland – on to Ho Chi Min (Trans Siberian Part 2). Ecuador is one of the most interesting and rewarding countries to visit in the Americas. A small country blessed with a hugely varied geography – encompassing Andean peaks, Amazon rainforest, Pacific beaches, and the wildlife-wonderland of the Galapagos Islands – it has been described as a microcosm of South America. On 16 April a 7.8 magnitude earthquake devastated communities along the northern Pacific coast and a massive relief effort is still underway. Meanwhile, the rest of the country is operating normally and more than ever needs tourism revenue to help fund the rebuilding on the coast. Russell Maddicks, the author of the “Culture Smart! Guide to Ecuador” will give an illustrated presentation explaining the current situation on the ground, why you should visit now, and a taste of the country’s main tourism highlights. 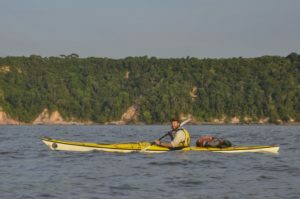 Olie Hunter Smart – Kayaking the Amazon. 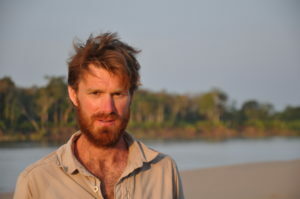 Olie has a passion for travel, culture, adventure and photography, stemming from a trip to Belize in 2002. Since then he has continued to explore the world, spending two months in a village on a remote island in Indonesia, as well as travelling through parts of Northern African and Europe. In 2013 he took a break from the advertising world, backpacking his way overland through 16 countries across four continents, exploring and photographing different environments, cultures and landscapes along the way. 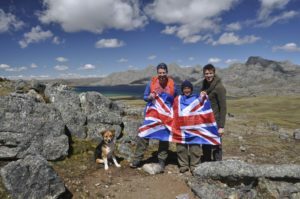 In 2015, Olie and travel companion Tarran Kent-Hume completed an expedition to walk and kayak the length of the Amazon River, from its most distant source high up in the Peruvian Andes to where it enters the Atlantic Ocean in Brazil. 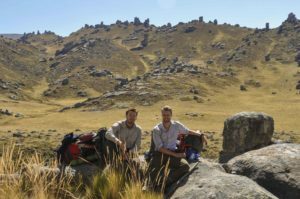 The pair travelled over 4,000 miles fully unsupported, carrying all their own gear, food and supplies for the four and a half month journey.